Actually relax - I really struggle relaxing, which sounds crazy but when I get a little bit of down time I panic about not being busy. I need to spend any free time having a moment to myself and recuperating. Plan my New York trip - I'm heading over to NYC for work next month but have 3 and a bit days to myself to play tourist. ALL THE EXCITEMENT. I am determined to jam pack in as much as physically possible but need to plan my days to make the most of the free time I have there. I'm going to get a city pass to make sure I get as much out of the tourist attractions as poss - can anybody recommend any musts (sights, restaurants, must-visits etc)? Get organised - This month I'm in the UK for around 13-14 days - the rest I'm away with work, on holiday or away from home. I need to really organise my time in between and make sure I get on top of things. As well as that, I need to have travel documents organised, all the currencies needed as well as a plan of attach for the exhibitions I'll be working at. ENJOY my holiday to Budapest - Bit of a no brainer really but holiday time is a very rare thing for me these days. I want to make sure that I see as much as I can but also get plenty of time to relax and feel free of work for a little while. Note to boss: I will still be checking my emails, don't worry! 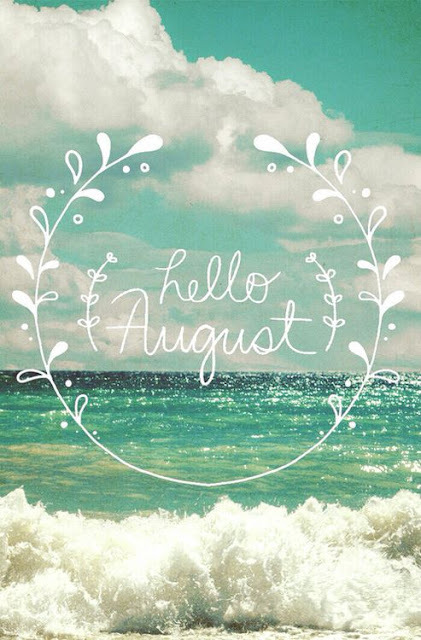 Have you got any monthly goals for August? Or even any exciting plans coming up? Let me know in the comments below.